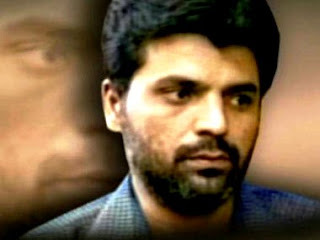 Yakub Memon, a terror convict, will be hanged to death, most probably on 30 July 2015. He will be killed by the State because the Supreme Court of India rejected his curative plea, the final appeal, and cleared the way for hanging. He will hang after being convicted under the much reviled Terrorist and Disruptive Activities (Prevention) Act, which was repealed in 1995. He will be killed, chiefly because his brother masterminded and executed the Mumbai Blasts on 12 March 1993 that killed 257 people. In other words, he will hang for someone else’s crime, just because he is linked to the main accused by blood. Let’s take a quick look into the facts. Yakub’s brother Tiger Memon had sent all family members out of the country before the blasts. Yakub is the only one who chose to return, ostensibly to surrender. Though the police contests this and claims that he was arrested from New Delhi along with his family, it is certain that he returned, and returned with his family, to face trail. He brought, along with him, evidence of the role of the Inter Services Intelligence, Pakistan’s spy agency, in facilitating the plot. Going by the example of the 2011 Mumbai Blasts, this is information Indian investigators would have found hard, if not impossible, to gather on their own. Which fugitive, never mind terror plot accused, does this? And, this is exactly why the Court has lambasted Central Bureau of Investigation’s claim of having arrested Yakub from New Delhi, stating that people do not appear in such unlikely places from the air. And, yet, at the same time the Court has gone ahead and sentenced Yakub to death. Furthermore, the police evidence against Yakub includes a statement of a co-accused turned approver and a confession under police custody of another, who later retracted the statement, claiming it was extracted through torture. The only charges proven against Yakub are of financing travel and other logistical support to the bombers, which Yakub Memon claims to have done unknowingly and unwittingly. The truth in relation to this difficult to verify until India brings investigates the masterminds. Only then can one find out Yakub’s role, whether he wittingly or unwittingly funded the travel of the bombers, and punish his actions justly. Now, as it stands, those who planted the bombs have got their death sentences commuted to life, while Yakub, who did not plant a single one, is being sent to the gallows. And, this is where the death sentence starts looking like the revenge of a system frustrated with its failure to catch and punish the real culprits that is killing Yakub on the flimsiest of grounds. Yakub Memon would not be the first to hang in such a way. Afzal Guru was hanged to death for satisfying the “collective conscience of the nation” on “circumstantial evidence”, a reason even more questionable than the one used to put a noose around Yakub Memon’s neck. Afzal Guru was not given an opportunity to meet his family for the last time – something even the most rogue regime would not generally deny to a convict on death row. Yet, it happened not in a dictatorial regime but in a republic, the self-designated “largest democracy” of the world. Worse, it happened on the orders of the Republic’s top court, which didn’t even blink while pronouncing the death sentence, merely on the basis of “circumstantial evidence”, flouting it own maxim of handing this “supreme sentence” only in the rarest of the rare cases. A real civil society would disapprove of such retributive justice of even being justice and would realise that a system letting this happen is not a rule of law system. They would realise that such a criminal justice system is in fact a “criminal” and not “justice” system. Unfortunately, the Indian civil society has not awoken to this. Ask this civil society and the refrain one gets is that yes, there are problems, but not much is wrong with our Judiciary. Looking at these two cases of Yakub Memom and Afzal Guru alone and nothing can be further from the truth; and this lie is not reserved merely for terror suspects. Justice in India has always been found to be faltering when the accused are from the most marginalised sections of the society – Dalits, other backward classes, and the religious minorities. In addition, most of them come from economically weaker segments, and it would become evident that not everyone is equal before the law, as practiced in India. So how deep is the inequality before law in India? A study conducted by National Law University students with the help of the Law Commission has thrown up baffling results. As much as 93.5 percent of the 373 death row convicts over a 15-year period are Dalits and the minorities. And this inequality is not only about those convicted to death. It is about the poor’s right to livelihood, about their right to welfare schemes, about their rights to their habitat. It is about their right to justice – both social and criminal justice. The system fails them on both fronts. It plays itself out in every single interaction of the criminal justice system with the poor and the marginalised. Let us consider how the system deals with adivasis, for instance. A classical example of how the justice system in India treats the poor and marginalised is showcased in how the government of Jharkhand withdrew over one-lakh cases slapped on tribal persons, just so the government could win over their confidence in its fight against the Maoists. Most of these cases were petty cases like “stealing” wood and other forest produce from forests, “encroaching” on forest land for making huts and so on. The irony of the decision was lost on many. How could adivasis, living in jungles for centuries be treated as “encroachers” in their own habitat and then charged with petty offences in the first place? (More on thishere) And yet, many of them would have been languishing in jails, swelling the 250,000 languishing so in jails today, just because they would have had no money for the bail amount. There are many others who did not get even this much relief, like the tribals of Uttar Pradesh. A similar attempt to withdraw cases against tribals there met a legal roadblock. Though the state Forest Department summarily disposed cases under forest laws against them, the charges under the Indian Penal Code remained. The Forest Department did this legal trickery by forcing the tribals to accept the charges, irrespective of whether they committed the alleged crimes or not. This too is a story few have cared to pursue (more here). One could go on and on with other examples of injustices for certain communities due to these communities being treated unequally before the law. Then there is the prohibitive cost of legal assistance, the centuries long backlog of cases, and endless trials. The fact remains the same: justice in India is not for the poor and the marginalised. Can one still say that there are just small problems with the Judiciary in India, which, if fixed, can allow the system to chug along perfectly? Can one still treat grotesquely spectacular miscarriages of justice in cases like those of Yakub Memons and Afzal Gurus as exceptions? They are, though most unfortunate, but extreme examples of everyday injustice meted out to millions of Indians on a daily basis. The malaise is deep. And, this malaise the Indian civil society most often overlooks. The rot is in the system. Occasional victories – if they can be considered that, like saving S.A.R. Geelani from the gallows in the Parliament attack case – come with equally big defeats, like failing to save Afzal Guru. Or, take the recent case of suspended Delhi University Professor G.N. Saibaba, arrested by the Maharashtra Police, allegedly for his alleged Maoist links. The Bombay High Court did give him temporary bail on medical grounds and castigated the authorities for the inhuman treatment meted to him, but his co-accused, charged with similar offences, are still languishing in the same jail. The criminal justice system in India does not have some small problem that can be tinkered into order. It needs a complete overhaul; it needs a re-engineering that is impossible without a public movement for the same. Until then one can keep celebrating small victories amidst supreme injustices meted out to most. All our super systems like law and governance rest on the same principles/morality and ethics that drive our society and our collective consciousness. This is such a telling commentary on how the rot has set in much deeper than we can even imagine and this like termite would eat everything from inside and leave it hollow some day.